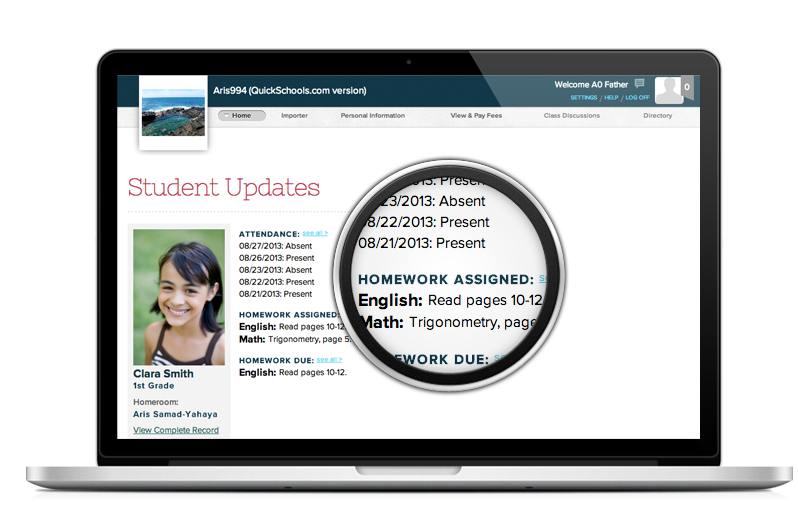 One of the most powerful features of QuickSchools is the Parent Portal. 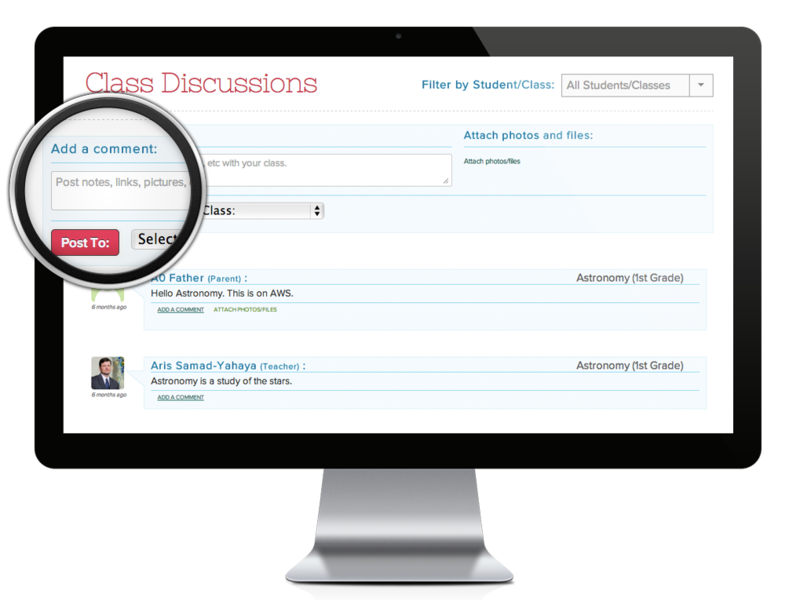 The parent portal enables parents to be connected to their student’s classroom and teachers 24 hours a day. This feature keeps parents involved and actively participating in their student’s education. The information available to parents in the parent portal is completely customizable by the school and can include attendance records, grades, classroom assignments, calendars, a message board, and basic student and parent information. The Parent Portal also relieves teachers of the constant requests for progress and attendance reports. The Parent portal is updated daily by QuickSchools. © 2018 QuickSchools, Inc. All rights reserved.